Crispy salty on the outside, soft and warm in the sides. Fresh herbs, tangy dressing and BACON. 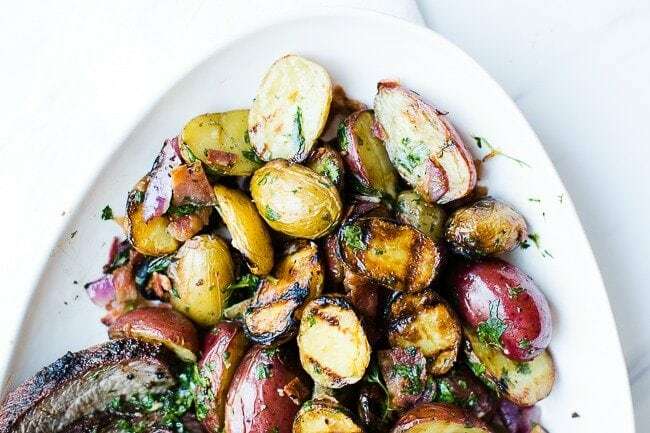 Grilled potato salad will be your new go-to side once to take one bite! 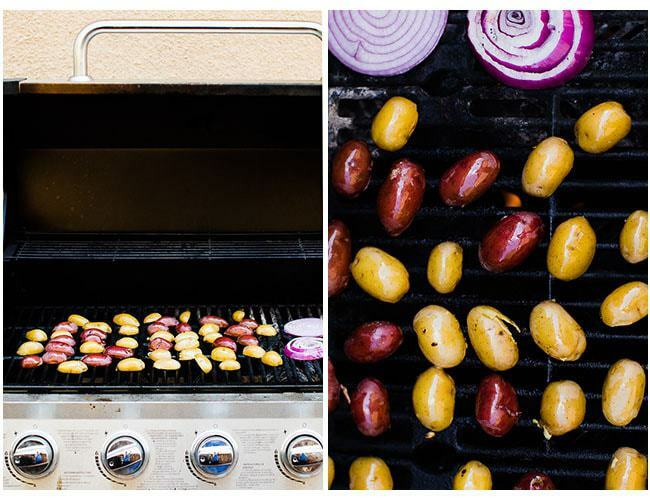 All summer long we are grilling burgers, hot dogs, cooking up fries and grilling veggies. 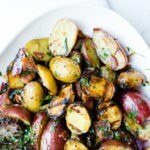 Sometimes its tricky to figure out an unique side- But this goes perfectly AND (big perk here) I use my instant pot to pre-cook the potatoes so there is never any stove or oven turned not to heat up the kitchen. 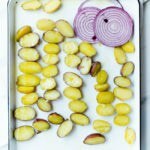 The potatoes to use are very small baby potatoes or fingerling potatoes. They do need to be softened before they are able to be grilled. 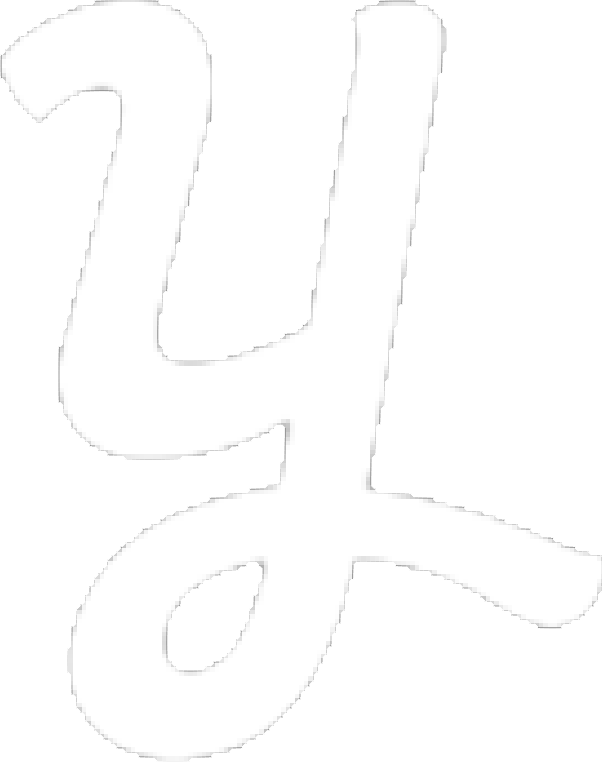 There are two ways to do this. 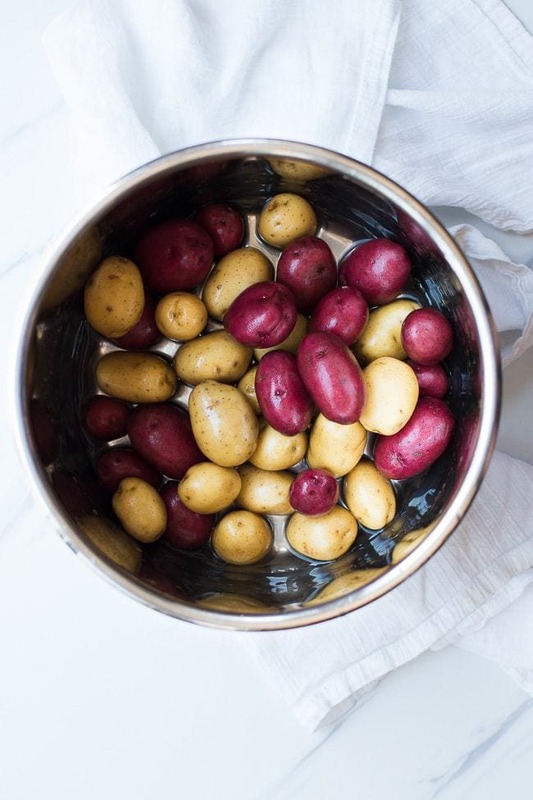 PREFERED METHOD: pop these little potatoes in the instant pot, with 1 cup water, for 4 minutes and quick release. Boil potatoes whole for about 5-7 minutes. 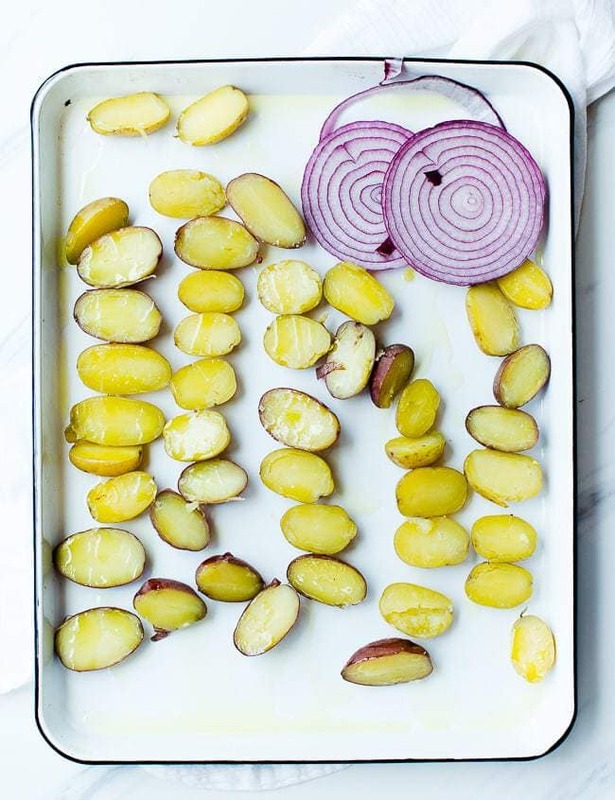 Slice the potatoes in half, cover with olive oil and some sea salt. Also slice a purple onion and do the same. It’ll be grilled at the same time as the potatoes! Preheat your grill so the metal is nice and hot. The hot grate will sear the potatoes. Turn the grill down to medium- med/high heat place the potatoes face down on the grill and let them sit for a few minutes. You don’t flip the potatoes, but do flip the onion once. Remove from the heat and toss with the rest of the ingredients.. The best bacon for this salad is to buy and cook your own fresh bacon then crumble. You can use precooked, or real bacon crumbles from a bag but they don’t have the same flavor and additional flavor to the salad that fresh bacon adds. I LOVE this herb dressing. It’s similar to an chimichurri. It’s perfect for smothering over veggies and meat. The best part about this recipe is that there is leftovers! You set aside the extra dressing for whatever protein or veggies you make to accompany the salad. Mince all herbs and garlic together. Whisk with oil, vinegar until well incorporated. 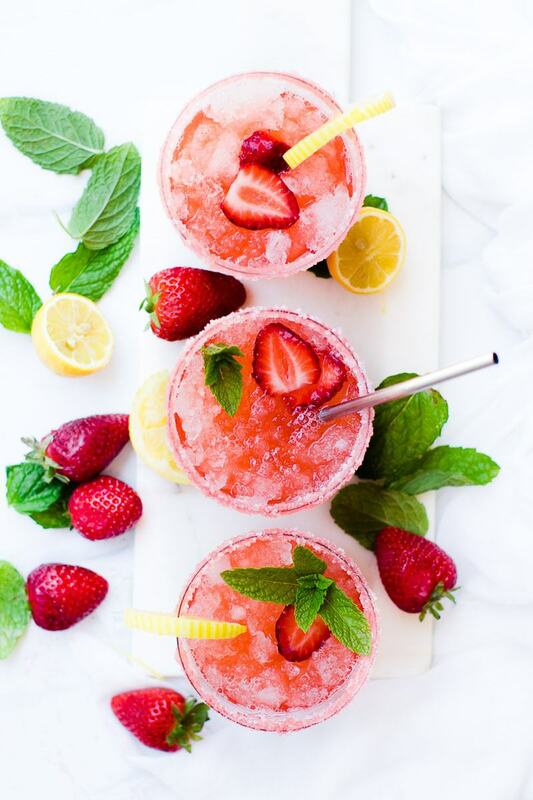 You can even pulse a few times with a blender. add just a couple of tablespoons to the rest of the potatoes salad and toss! You’re Done! Pro-Tip: Make the dressing a few hours ahead of time so all the herbs and flavors have time to settle and marry together. Toss everything- bacon, chopped grilled onions, grilled potatoes and dressing- right when the potatoes and onions come off the grill. The flavors will seep into those warm potatoes. 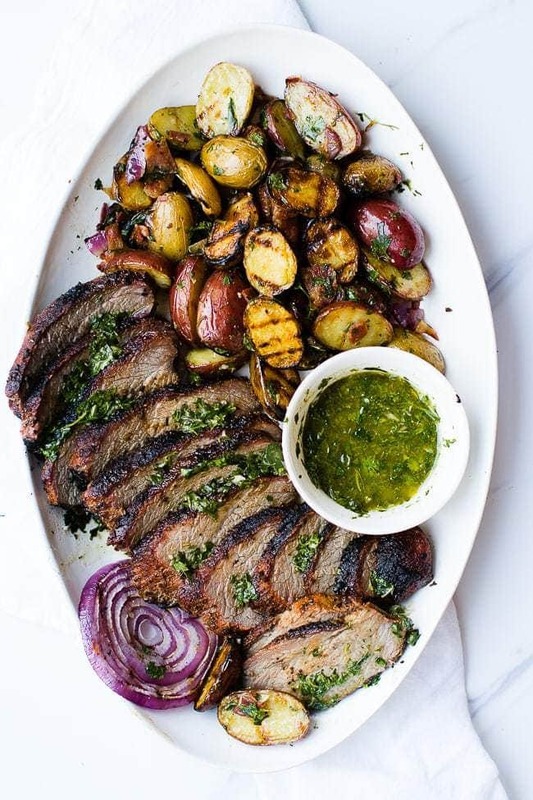 We love to serve this potato salad with burgers, grilled chicken, and especially this Santa Maria Tri-Tip. Always use the extra chimichurri herb dressing for topping the meat :) ALWAYS. We’d love to here from you!!  please leave a comment and rating below! 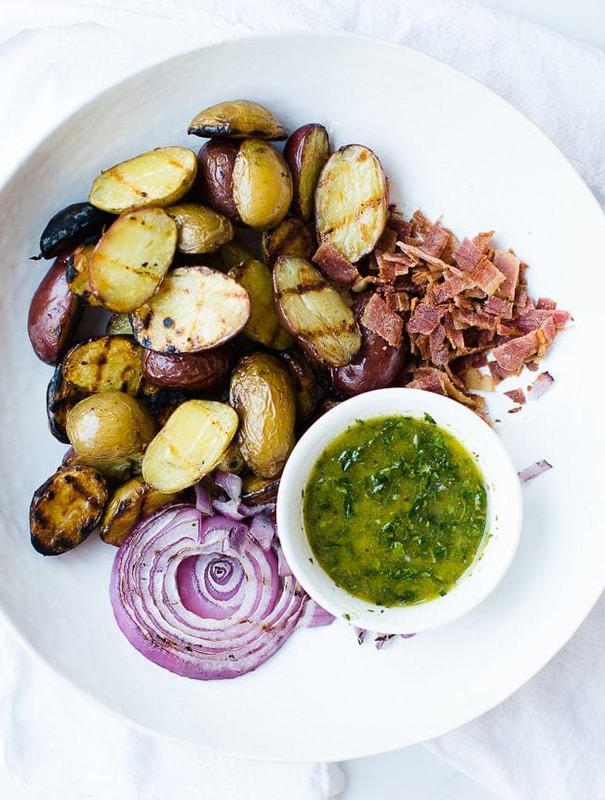 Smokey, crispy potatoes topped with crumbled bacon, grilled onions and a fresh delicious chimichurri herb dressing. Comes together in minutes using the instant pot and a quick grill. Wash potatoes. Place in instant pot with 1 cup water and cook high pressure 4 minutes, quick release. OR boil potatoes for 5-7 minutes, just until they are fork tender. 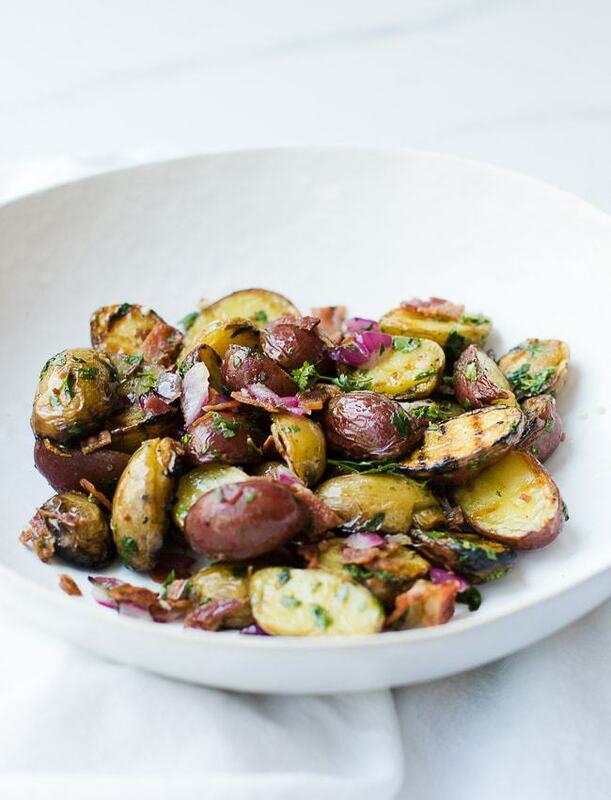 Cut potatoes in half and rub generously with olive oil. Take red onion and slice, 2 slices, keeping rings together. rub both sides with olive oil. Pre-heat grill on high heat for about 5 minutes. Turn down heat to med/med-high and place potatoes flat side down on grate. allow to cook for about 3-5 minutes. until the skin becomes crispy but not burnt. Turn the onion halfway through. Remove onion when soft. chop onion. Cook and chop bacon. 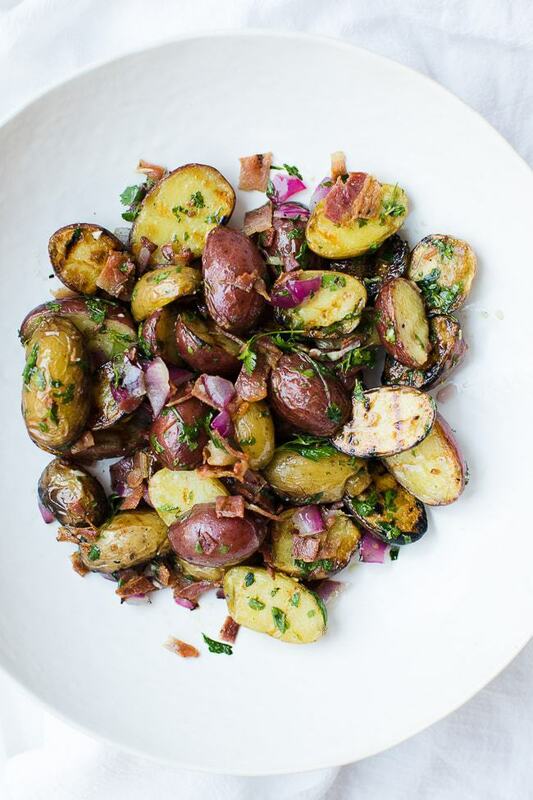 Toss potatoes with 2-3 TBS of the dressing, onion and bacon while hot. Serve immediately. Mince all herbs and garlic, and wisk vigorously with the red wine vinegar, salt and olive oil for 1 minute. Allow to sit for at least 1 hour before tossing with potatoes. Add about 2 tbsp of dressing to the potatoes, bacon, and onion. Toss. 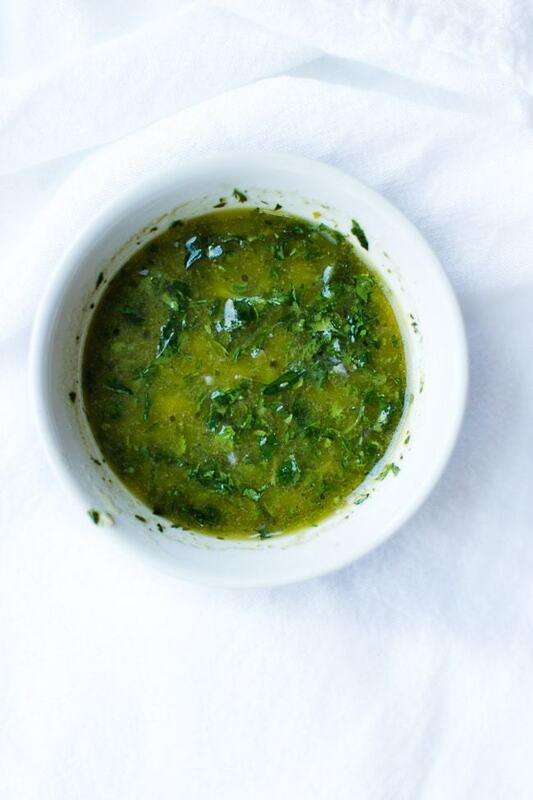 Save remainder of dressing for salads, veggies or grilled meat! If desired you can add all dressing ingredient into blender and lightly blend until ingredients are minced to desired coarseness.